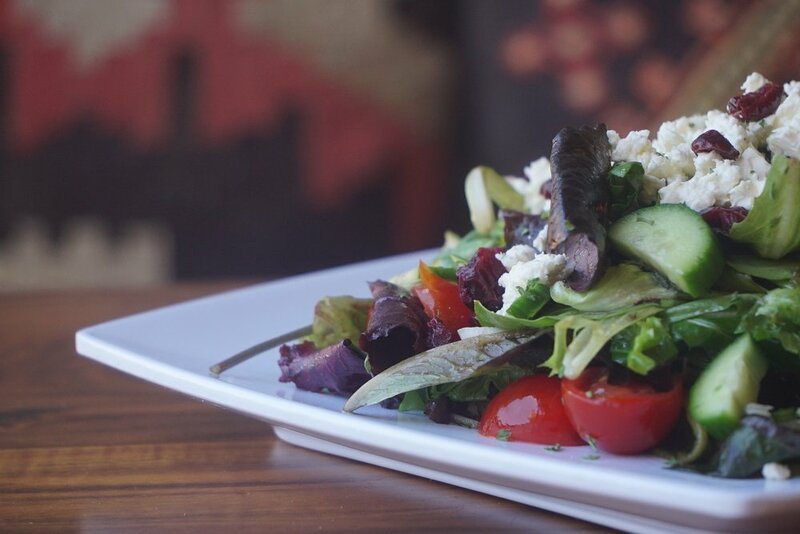 Sofra Urbana Grill is built on the basis of tradition, family, and morality. Its creation came about so that we may share the dishes that are loved and cherished throughout our home country, Bosnia I Hercegovina. Each plate offered, has been pieced together with the utmost care in regards to flavor, freshness, and quality. Here at Sofra, we don’t see people just as customers, but as guests in our home. We are not motivated by the desire for wealth but by the hope that every guest walks away enriched by our culture and in love with our food. The Sofra is traditionally used as a round tray for a dining table. In the Bosnian culture, making food and dining together is the foundation of a happy family. The Sofra is filled with family recipes much like the cevapi, shopska salad, and burek we provide. We placed the Sofra from our family table onto the wall of our restaurant to bring that sense of togetherness to our guests. Here at Sofra we try to foster a family-first attitude so that our restaraunt is perfect for all ages. All of our bread is made fresh in house everyday. Our pizza dough a unique recipe crafted by Chef Ervin who trained in Austria in the art of Italian cuisine. For those that are gluten-sensitive, he created a delicious gluten free substitute. Fans of thin crust? We can do it! We believe in making your pizza, your way. Want pineapple and olives? You got it! This is a judgement free zone! Not in the mood for pizza? The bread for our burgers and our signature mini sausages, cevapi, is an airy bun called somun. Every family has their own unique blend of ingredients that make their recipes special. Pair this bread with our beloved buttery cream-cheese like spread, kajmak and our red pepper sauce ajvar. In Bosnia, like many cultures, meat is a MUST. At Sofra Urbana Grill we believe in sourcing the best quality meats you can buy. That is why we serve only halal-certified products. What is halal? It is meat that is processed, manufactured, and consumed according to Islamic standards. This insures a level of cleanliness and flavor unmatched by average meats. We serve 100% beef pepperoni and Bosnian dried meats on our pizzas. Once you try them, it will be hard to go back. Are you a caffeine addict like us? We’re here to help satisfy your craving. Our traditional Bosnian coffee will give you the right kick you need to jumpstart your day. Each cup is a work of art. Served in a copper-plated ǆezva and poured over a sugar cube, the flavor is similar to an espresso. Trained in the Classic Culinary Arts, Chef Ervin decided to leap into the world of Italian Cuisine with a distinct Bosnian Twist!